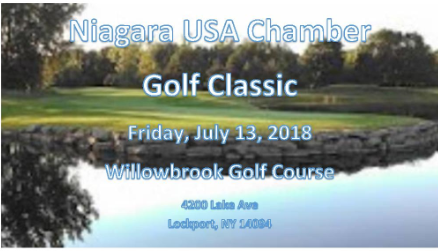 Join us early to process your registration, network and purchase your Mulligan (only $5). A continental breakfast will be served. Many sponsors and member businesses have donated fantastic baskets for a raffle just before lunch. Tickets can be purchased throughout the day. Event Format: Four-person scramble. Contests: Longest Drive (men & women); Closest to the Pin (men & women); Overall Low. Networking reception and lunch with awards presentation. Thursday. 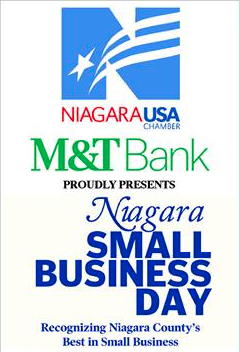 May 17, 2018 ~ 5:30 P.M.
Lockport Business Association – Jack Martin & Carmel Cerullo – Beiter & Moley Magnetics, Inc.
Newfane Business Association – Eric Koch & Newfane Automotive Supply, Inc.
NCCC Small Business Development Center “APEX” Award – Michael Pameri Sr.